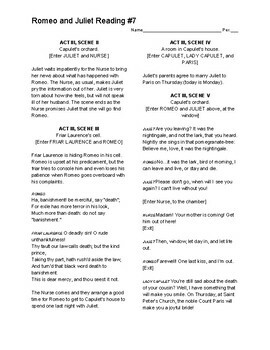 This reading includes Act 3, Scenes 2, 3, 4, and 5. 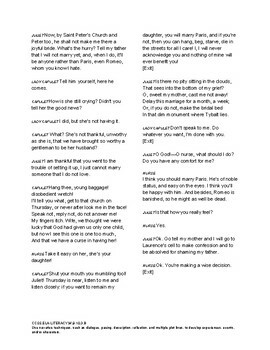 Scenes 2 and 4 are summarized and most of the language is translated into modern English. 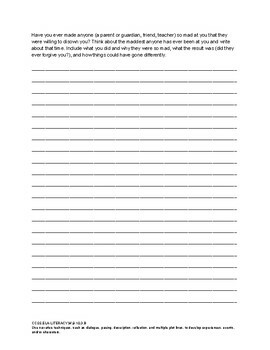 This includes the reading (2 pages) and a writing assignment. Students who volunteered to read a part were given extra credit.